Sara Mansour is an inspiration. In this interview find out how she co-founded the biggest slam in Australia, which has made a concrete change in the lives of so many. It's a great way to get to know Sara with Tablo launching a new space for all Bankstown Poetry Slam writers, performers and readers! 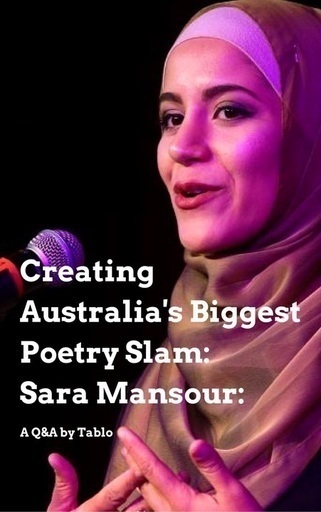 Sara Mansour is co-founder of the Bankstown Poetry Slam (BPS), a recently graduated lawyer, and was awarded this year’s Australia Day Young Citizen of the Year Award. BPS is a not-for-profit community organisation, that has grown to be the largest regular spoken word event in Australia, attracting over 300 people each month. Taking place on the last Tuesday of every month, BPS has featured renowned spoken word poets such as Rupi Kaur, Omar Musa and Luka Lesson, and offers people of all ages a platform to perform their spoken word poetry. Sara has been heavily involved in community work and the arts since BPS' inception, performing locally and internationally, facilitating workshops and featuring on numerous panels. In 2016 and 2017, she programmed Real Talk - a project that delivers free spoken word workshops to students across seven Western Sydney high schools. Real Talk was recognized at the ZEST Awards in 2017 for best project promoting social cohesion and community harmony. Sara also received Pemulwuy Prize 2016 from Prime Minister Malcolm Turnbull on behalf of BPS' contributions to the Western Sydney community. Have you always loved poetry? Any writers or performers in particular? No, I actually hated poetry in high school! I remember having to do Yeats in year 12 for the HSC and thinking gah, this swan poem is creepy. It wasn't until I first heard a spoken word poem online by Rafeef Ziadah that I really got into the spoken word, and then into written poetry again. How did you become the founder of Bankstown Poetry Slam? At the time, there were no spoken word events in Western Sydney. Co founder Ahmad Al Rady and I were sick of driving down to the city, and after trying to find a local slam, just decided it would be a good idea to start our own and see how we go! You're an incredible performer, was it always that way? Did performing your poetry come naturally to you or did you get stage fright the first few times? Not at all, the first time I performed I was shaking so much. I always hated public speaking and would get very nervous in front of crowds. However, it's something that I felt was incredibly powerful, to speak your opinion or beliefs and challenge the stereotype, and in fact redefine it. What’s the secret to the success of BPS? We are a family, we treat everyone that walks into out doors as such. I think that is largely what people get from coming to BPS, is a sense of belonging to a community that you cannot really get anywhere else. I love how it shows humanity in its best light, its most vulnerable funny, heartbreaking and moving moments. I love that BPS allows people a platform to share their art and to feel empowered by doing so. I also love that people are so surprised that BPS is the largest in the country and is located in Bankstown. It really reflects what Sydney has thought about art, and who can create good art, in the past. Is BPS for all ages? Or particularly appeals to certain people? Definitely for all ages, my grandma actually is hooked and she is coming along every month and has been performing her Arabic poetry. Our youngest performer has been 6 years old, and we really do get everything in between! 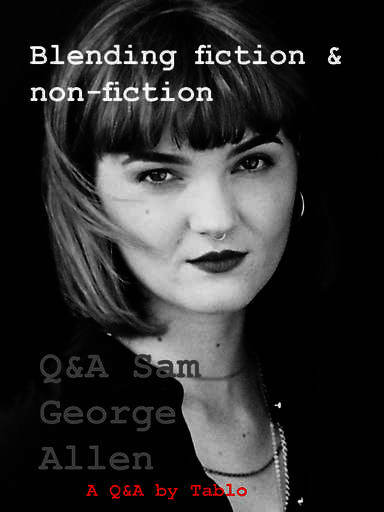 Can you discuss what you’ve learned for any other authors or performers, famous or not? I think the thing that I've learnt that is most important is to be authentic, and not to tell other people's stories unless they cannot tell their stories, and you are doing it with respect. I also think it's really important to respect and acknowledge that making art is about growing and contributing, and not about ego. The worst artists have been the ones with the biggest egos. What has BPS done for Bankstown’s community? BPS has contributed to the community in a way I think no other project has, because we have created a safe space where people from Bankstown and all over know they can come to every month, to share their stories. When you look around the room, you see multiculturalism personified. The Bankstown community has been able to grow with the slam, and every time there has been a social or political issue, BPS poets have been right there, speaking about those things in a way that really reflects the community's thoughts and beliefs. Has BPS kick started different participants’ careers in different ways? Yes, I really don't know where to start or stop with this one because there have been soooo many cool tangents that people have gone off into after BPS, such as into design roles, workshop facilitators, artists publishing their own books etc. 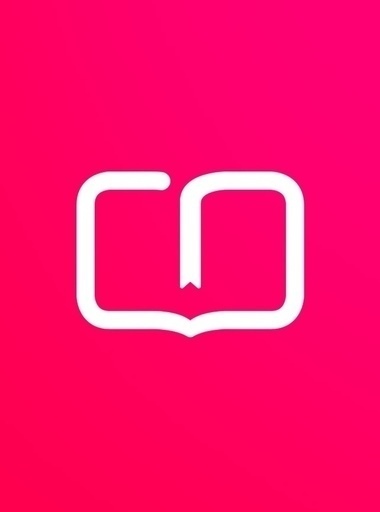 What other books do you read for inspiration? I love reading the classic works of authors from different regions in the world. For me, it allows me to understand what influences authors and artists currently, as well as how and why the world works in the way that it does. My favourite book is One Hundred Years of Solitude by Gabriel Garcia Marquez. In terms of poetry, I get my local hit every month at BPS and let me tell you they are of a global standard. BPS is now on Tablo for the first time – are there lots of undiscovered J.K. Rowlings or Rupi Kaurs lying in wait?